POLEMIC & PARADOX: THE RED WAVE SPILLS OVER TO THE ICE CAPS? THE RED WAVE SPILLS OVER TO THE ICE CAPS? 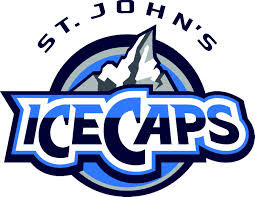 The St. John's Ice Caps have seen the light! Well, the former Winipeg Jet affiliate has officially become the Montreal Canadian farm team - and that means out with the blue and white and in with the red.